Flanged shaft mounting collars that combine secure clamping with specially machined features such as attachment points, cam surfaces, O-ring grooves, slots, and more are available from Stafford Manufacturing Corp. of Wilmington, Massachusetts. 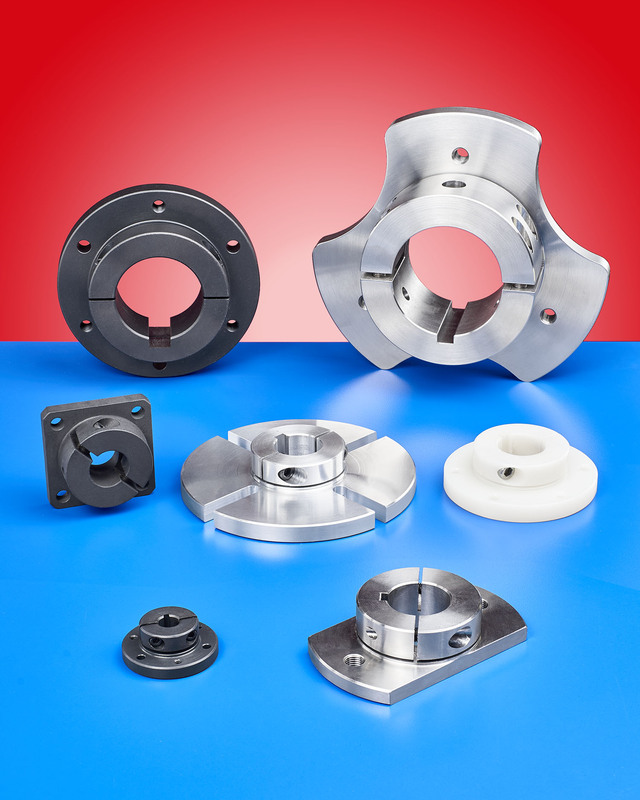 Stafford Flanged Shaft Collars are one-piece shaft mount solutions that can be manufactured from a variety of materials with custom configured flanges to meet customer application requirements. Incorporating the Accu-Flange™ mounting feature to retain flatness and perpendicularity to < 0.001 TIR, they let users attach gears, pulleys, and sprockets without welding. Designed with a smooth bore and keyway, Stafford Flanged Shaft Collars have a split design and relief groove clamping feature that will not mar shafts and the flanges have standard or custom hole patterns or slots. Flanges to 10” O.D. and bores to 6” I.D. are offered and materials include aluminum, black-oxide steel, stainless steel, and plastics. Stafford Flanged Shaft Collars are priced according to material, size, configuration, and quantity. Pricing is available upon request.